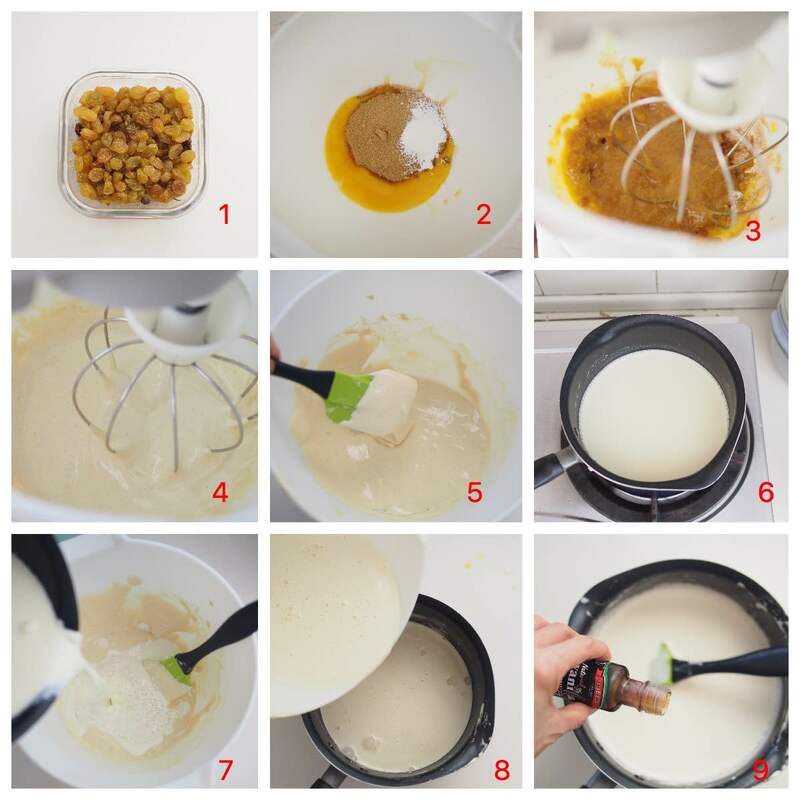 I don’t know what to do with the left over egg yolks from making buttercream. Before they turned bad, I used them to make Rum Raisin Ice Cream. I tried making No-Churn Rum Raisin Ice Cream before using condensed milk. It is nice but I found it a little too sweet for me. With this recipe, I got nice smooth and not so sweet ice cream that is just nice. In a glass container, combine rum and raisins together. Cover and leave overnight. 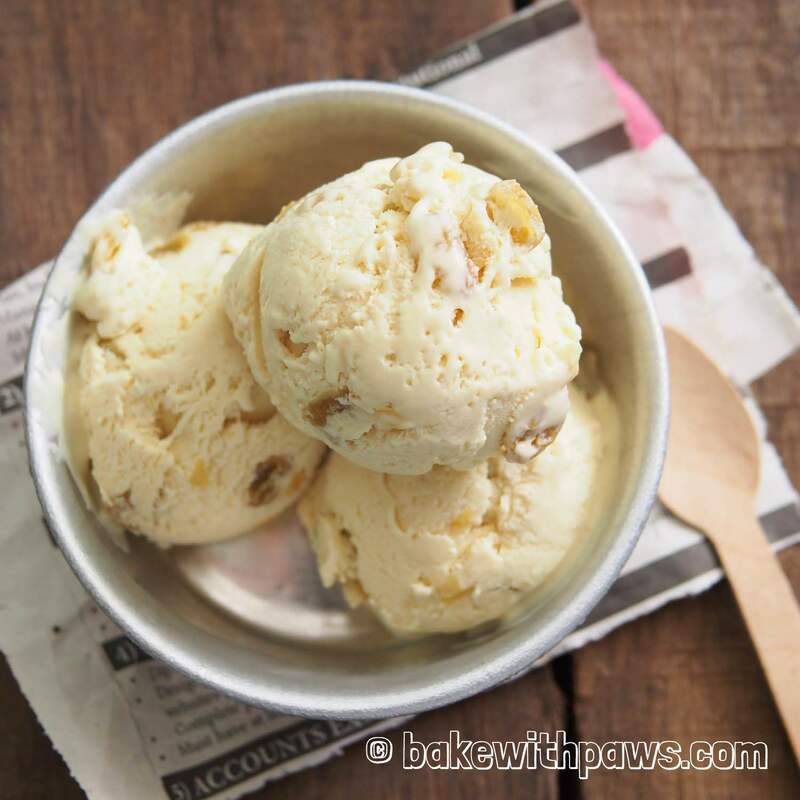 Remove the frozen ice cream maker bowl from the freezer and turn on the ice cream maker. 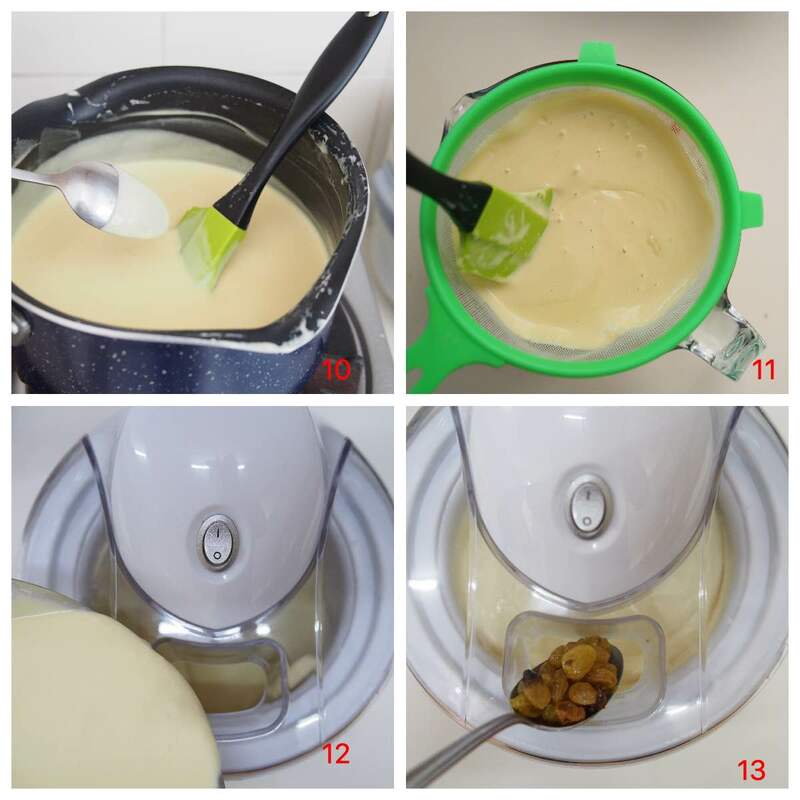 Pour the chilled custard into the ice cream maker and churn for 20 to 25 minutes or until your desired consistency. 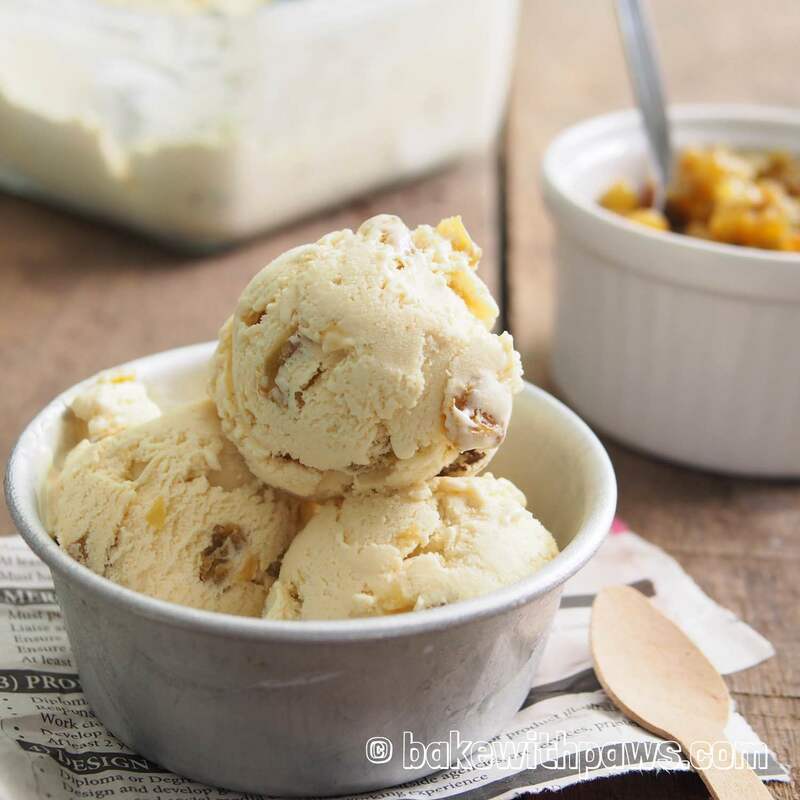 After 10 minutes of churning, add soaked raisins into the ice cream mixture.